Cellulite occurs when fatty deposits push through the connective tissue, resulting in a lumpy, bumpy texture rather than smooth skin. Contrary to popular opinion, women of all shapes and sizes can get this condition. Women are genetically predisposed to cellulite due to the weaker connective tissue in their thigh, hip and bum area. In addition, oestrogen stimulates fat tissue, stopping the breakdown of fat cells and reducing circulation which results in water retention in problem areas. Furthermore, it commonly occurs post-puberty for women, although it can appear worse after pregnancy as well. Nonetheless, it tends to become more prominent as you age simply because visibility is down to the thinning of the skin. It is a normal part of every woman’s anatomical and physiological development. Dry body brushing for two minutes every morning is a great way to help reduce that dimpled and lumpy appearance. But if you don’t have the time for this, using exfoliating gloves in the shower can help boost circulation. Make sure to remember to massage upwards towards your heart to improve circulation. 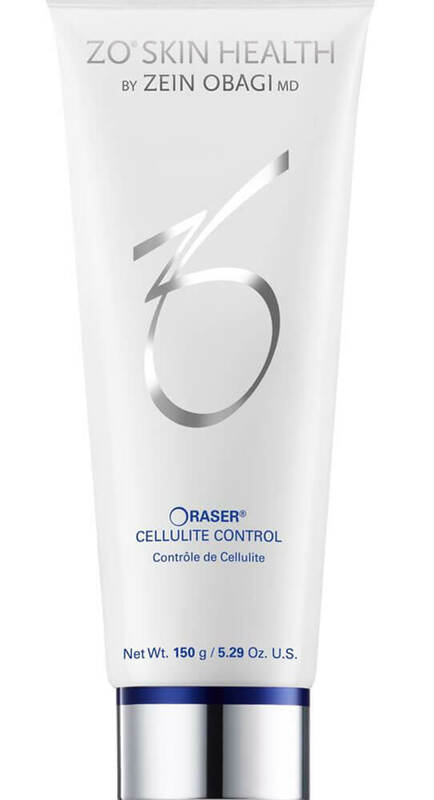 ZO Skin Health’s Oraser® Cellulite Control Body Smoothing Creme has an instant firming effect to visibly improve the texture and appearance of cellulite. Ideal for use on the hips, thighs, buttocks, stomach and any other problem areas. This creme smooths skin, provides a slimming effect, a toning effect and helps to diminish that ‘orange peel’ appearance. Working around the clock to prevent new cellulite, it helps to improve microcirculation and reduce skin contour as well as restoring hydration and encouraging collagen production to firm skin and support a healthy skin barrier function. The best way to understand how this incredible cellulite cream can do what it does is by looking at how the ingredients work to treat the skin. Plankton extract: Increases cellular and tissue metabolism to improve muscle tone. Also, provides a slimming and toning effect. Saccharide isomerate: Minimises new ‘nightly’ fat deposits from accumulating by interrupting the bodies natural circadian rhythms. It also stimulates new collagen for added firming benefits. Methylsilanol carboxymethyl theophylline alginate: Improves microcirculation and skin contour by inhibiting fat storing enzyme (Lipoprotein Lipase – LPL). Phosphatidylcholine: Up-regulates fat destroying lipase enzymes. This is commonly used in Mesotherapy procedures. Caffeine, coenzyme A and carnitine: Enhance the metabolism to accelerate the breakdown of fat tissue. Chondrus crispus (carrageenan) extract: Provides instant firming and tightening to visibly improve skin texture and the appearance of cellulite. Glycerin and betaine: Keeps skin hydrated and restores a healthy skin barrier. Interval training is recommended as the best way to help break down fat, boost circulation and consequently give you a smoother more toned appearance. A form of deep-tissue massage is one of the most effective non-surgical treatments. It can help to boost circulation and thus diminish the appearance of cellulite. GSR™: Getting Skin Ready is an essential ZO® principle for both daily maintenance and preparing skin for therapeutic medical treatment. It ensures skin functions properly, tolerating all daily exposure and activities. In addition, it prevents and controls acne, rosacea, shaving bumps, skin pigmentation problems, enlarged pores and skin texture that is rough and damaged. The GSR™ Getting Skin Ready system will optimise the effectiveness of your ZO® treatment programme. Comprised of cleansing, scrubbing, and control for dry skin and oily skin. This system helps eliminate skin sensitivity, restore hydration, enhance skin health and minimise treatment complications. Below we expand on each step of this basic skincare routine. Cleansing your face twice a day can help to normalise the skin, removing impurities and surface debris. Thus, it leaves the skin refreshed and revived. Exfoliating your skin 2-3 times a week will facilitate epidermal renewal, remove build-up, activate new skin cells and improve general circulation. In addition, it enhances the penetration of other products. Oil control is one of the best ways to fight ageing, breakouts, and keep skin healthy and vital. It controls sebum, restores the skin’s pH as well as enhancing product penetration. However, the products you need depend on your skin type (see table below). Cleansing may seem like the simplest part of your daily skin care routine, but it’s actually the step that many people get wrong. Some all too common bad habits when it comes to cleansing can cause a whole host of skin problems, including dry patches, irritation, oiliness, redness, clogged pores, and breakouts. Keep reading to discover how to cleanse correctly and what you may be doing wrong. Most people only cleanse before bed. Whilst cleansing in the evening is essential in rinsing the skin of any dirt and debris that may have collected during the day. This doesn’t mean your skin will stay clean overnight. Your skin is still working while you sleep, so cleansing your skin in the morning is important to reduce oil production and drops of perspiration that may have formed overnight. Whilst you should cleanse twice-a-day, that is more than enough. Overwashing the skin or harshly scrubbing at it can strip the skin of natural oils, exacerbating your skin’s oil production, leading to acne. If you’ve got sensitive skin, you’ll want to make sure your hands are completely clean or alternatively use a soft washcloth to avoid irritation. ZO Offects Hydrating Cleanser is the one for you. It gently hydrates and rejuvenates without disrupting the moisture barrier. Using panthenol and allantoin to soothe, repair, and restore skin, it sweeps away all the dead skin cells and supports cellular renewal. Plus, it is best to use warm water. Both hot and cold water can be harsh on your skin. After washing, gently pat skin dry but leave it slightly damp. We’re always telling you what you should do to help improve your skin, so we thought it important to explain why you should be doing them. 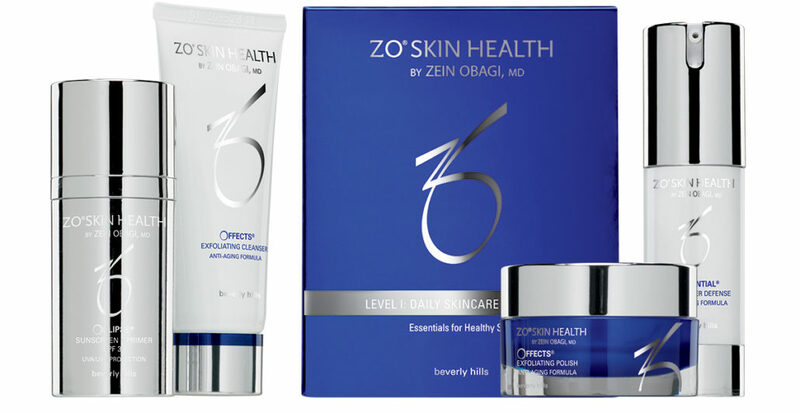 ZO® Skin Health products provide stabilisation and continuous skin health restoration utilising innovative ingredients. 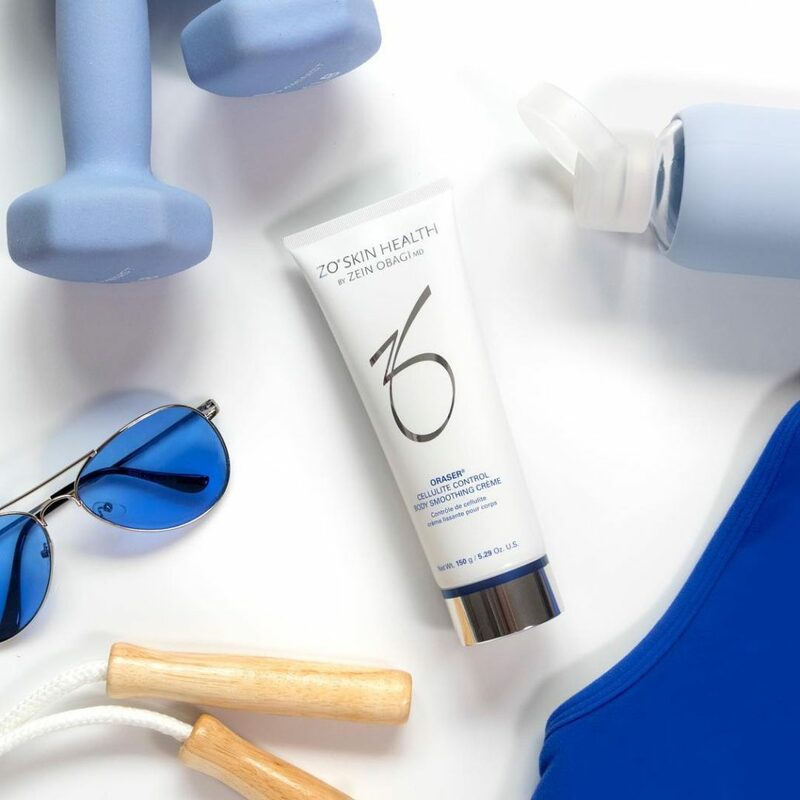 They help address hydration, skin barrier restoration, DNA repair, inflammation management, pigment control, antioxidant protection and UV protection. Below we expand on each ZO principle and the reasoning behind them. So you’ll better understand what’s happening to your skin with each skincare step. This principle prepares skin to function properly, tolerating all daily exposure and activities. It is an essential skincare step in preventing and controlling acne, rosacea, shaving bumps, skin pigmentation problems, enlarged pores, rough and damaged skin texture. The correction principle combines epidermal exfoliation, hydroquinone for bleaching and non-hydroquinone mild bleaching or blending with melanocyte stabilisation. The goal is to improve the epidermis using certain topical agents. The stabilisation skincare step prevents acquired sensitivity to treatment and enables skin to renew and strengthen itself. Strengthens skin and builds resistance against harmful external and internal damage. Stimulation is the process of improving both the epidermis and the dermis through the use of tretinoin. When the combination of correction, stabilisation, stimulation, bleaching and blending principles are used to treat a disease, the objective is ‘general skin repair’. This is usually accomplished within three skin cycles. After completion of any medical treatment, general repair ends, and the objective becomes ‘specific skin repair’ as a basic, daily preventative and anti-ageing skincare regimen (stabilisation). There’s nothing quite like getting your nails done at a salon. It’s one of the little luxuries that can help you feel more put together and glamorous. However, there’s a dark side to getting a manicure. If you aren’t careful with where you go and your prior preparation, you could be putting your hands at risk of damage! When you get acrylics or a gel based nail polish, these need to be ‘cured’ under a blue light. However this blue light, also known as HEV light is extremely damaging to your skin. HEV light similar to UV rays can trigger an early onset of ageing in the skin. So, our first suggestion would be to just avoid this entirely. Although, if you insist on continuing, we highly recommend wearing a cream with sun protection on your hands to protect it from damage. The Oraser® Nourishing Hand Creme and the Oraser® Daily Hand Repair SPF20 contain Avobenzone to help protect your hands, prevent hyperpigmentation and premature ageing. Serious nail infections can be caused by a number of things. Neglect from your nail technician is a prime cause whether it’s from them excessively cutting your cuticles to not sterilising their manicure instruments sufficiently. Nail infections can be hard to treat and tend to linger on, so prevention is key and finding a qualified professional is essential. We advise that you do your research before turning up at a salon. Be certain that the salon has good reviews and cleanliness is crucial to them. Whilst a salon’s interior design may look very glamorous and expensive, this does not mean that their work will be on the same level. This is why doing your research is vital, as mentioned above. To be on the really safe side, bring your own equipment to the salon. This can include nail clippers, scissors, and even files. But you will be responsible for your own items, so make sure to thoroughly clean your instruments after every use with rubbing alcohol. Do you want to grow old gracefully? Then follow our top tips on preventing, protecting and fighting against signs of ageing. While this might sound like common sense, it’s very common practice for some to go overboard with their skincare. Whether it’s excitement at having a new product or impatient at slow results. Active ingredients can do more harm than good when used too much. Applying more than recommended can cause clogged pores, an uneven complexion and many other unwanted effects. So just be patient and follow instructions to get the best results. Irritating the skin makes signs of ageing more noticeable. Some anti-ageing products prescribed by a dermatologist may burn or sting. When using a prescription anti-ageing product, this can be okay. Just be sure to let your dermatologist know. As mentioned above, while a hydrator can immediately plump up fine lines, most products take some time for results to appear, so be patient. Regardless of whether you get your tan from natural sunlight or a tanning bed, these are both dangerous practices. This is because you are exposing your skin to harmful UV rays that can accelerate ageing, such as an onset of wrinkles, brown spots and a blotchy complexion. What’s more, it can cause skin cancer. As an alternative, if you are absolutely desperate for a tan, why not apply a self-tanning cream to achieve a summer glow, the safe way. Speaking of harmful UV rays, you must wear an SPF year round to protect your skin. 80% of UV rays still penetrate a cloudy sky, so you’re still susceptible to sun damage, even it’s not blazing hot. Why not use the Oclipse® Sunscreen + Primer. This multi-tasking beauty works to protect your skin and doubles as a makeup primer! Apart from the countless health complications, smoking also greatly speeds up ageing skin. It causes wrinkles as well as a dull, sallow complexion. When you make a facial expression, such as squinting or frowning you contract the underlying muscles. If you repeatedly contract the same muscles for many years, these lines become permanent. So try to get out of the habit. Of course, alongside all these lifestyle tips, following a regular skincare regime is an absolute must. Apply a generous amount of Oilacleanse™ and wash your face for 40-60 seconds. Apply a generous amount of Oilacleanse™ and wash your face for 40-60 seconds. For Dry Skin: Use Offects® Exfoliating Polish 2-3 times a week, only. For Oily Skin: Apply a small amount of Vitascrub™ to a damp face and neck and then massage it into your skin for 40-60 seconds. For Dry Skin: Apply Balatone™ with a cotton pad. For Dry Skin: Apply Balatone™ with a cotton pad. For Oily Skin: Use 1 Cebatrol™ pad Apply 2-3 pumps of Ossential® Advanced Radical Night Repair 2 times week and then increasing as tolerated. However, make sure to skip days between applications. Apply 1-2 pumps of Glycogent™ for each application or as directed by a physician. Apply 2-3 pumps of Ossential® Growth Factor Serum Plus to face and neck on nights when Ossential® Advanced Radical Night Repair is not used. Apply 2-3 pumps of Ossential® Daily Power Defense on your face and neck to strengthen skin. The skin around your eyes is the most delicate area of your face and the first place to show signs of ageing. Pigmentation, sagging, fine lines and wrinkles are among the most common age-related changes that affect the eye area. In addition, in your 30s, you’re likely to see ‘dynamic wrinkles’ appear. These are the parallel vertical lines that form between the eyebrows, fine lines at the corners of the eyes (aka crow’s feet), and horizontal lines that run across the forehead. They are caused by repetitive facial movements and general skin ageing. Nonetheless, very deep lines and wrinkles can be avoided if people are more careful in regards to sun exposure. Wrinkles are exacerbated by sun damage. Similarly, for those in their mid-30s, pigmentation and skin discolouration start to form just below the eyes. This is often caused by prolonged periods of sun exposure. Another consequence of ageing is the loosening and protruding fat in the under eye area. This is commonly referred to as an under eye bag. Under eye bags occur when the muscles in your lower eyelids begin to weaken. 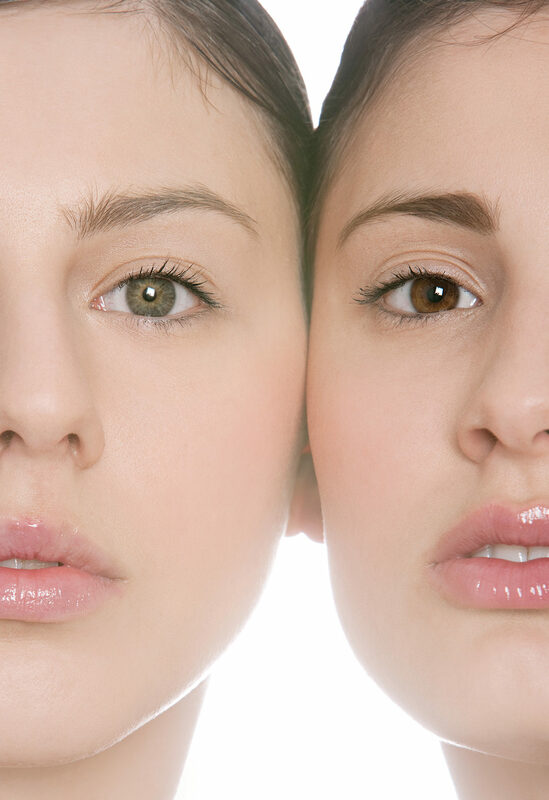 Skin becomes slack and fatty deposit starts to store under the eye, causing the skin to swell and become more visible. In addition, dark shadows which appear under the eyes are due to hollow grooves developing under the eyes in the tear troughs. How to Treat the Eye Area? There are a variety of treatment options available for eye repair. From toxin injections to soften fines lines and wrinkles to dermal fillers which can plump out the hollows of the skin. Peels, lasers and light-based treatments can help to resurface the skin, improving skin laxity and discolouration. Older patients can also benefit from upper and lower blepharoplasty to remove excess skin and fat as well as tighten loose muscles. Selecting a treatment plan must also include topical agents to ensure you maintain a youthful and healthy skin condition. We have developed two essential eye repair treatments in the ZO range to target the key components of eyelid ageing; the ZO Skin Health Olluminate® Intense Eye Repair and the ZO Medical Hydrafirm™. Olluminate® Intense Eye Repair has stabilised retinol and advanced peptides to fortify the skin around the eye area and thus decrease fine lines and wrinkles. It also promotes collagen production and includes optical diffusers to reduce dark circles. What’s more, it contains antioxidant and anti-inflammatory properties to help protect the skin against free radical damage. Hydrafirm™ is specifically designed to help diminish fine lines and wrinkles and restore skin’s elasticity by encouraging natural collagen production. It helps to rapidly reduce the appearance of puffiness as well as targeting the appearance of dark circles. Hydrafirm™ increases suppleness and hydration to replenish the skin’s barriers. Additionally, it provides antioxidant protection to prevent future damage. Plenty of people buy lots of new products and use them at random to find that it has made no difference to their skin’s appearance. This is because slapping on skincare products in any random order is probably one of the biggest cardinal sins a beauty lover could make. To get the benefits of each item, there is actually a correct order to layer skincare products. Your routine should always begin with you washing your face with a cleanser, regardless of whether it is the morning or the evening. In the morning, cleansing helps to remove the dead skin cells your nighttime products will have exfoliated from your skin. While, in the evening this will make sure that any oils, grime, and dirt that may have clogged your pores are washed away. 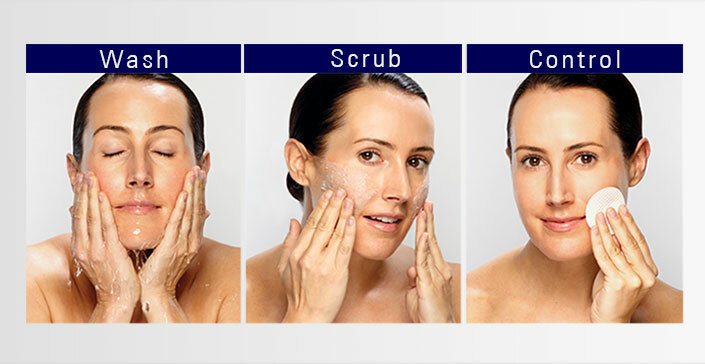 Unless specified by a dermatologist, exfoliators should not be used every day. Exfoliating up to 2-3 times a week can prevent a dull, lacklustre complexion by removing dead skin cells and promoting cell turnover. In order to rebalance the skin, a toner will soothe and calm your skin. Any serums you plan to use should be applied now. If you need to brighten your skin or treat it for sun damage, the Ossential® Brightalive is the revolutionary skin brightener you need. It uses technologically advanced, multi-action complexes to treat hyperpigmentation and sun damage without the use of retinol and hydroquinone. Since it has the heaviest formula and its role is to shield the skin from external factors, your SPF should be applied last. Never forget to apply SPF. Regardless of rain or shine, UV rays still penetrate and damage your skin. So you need to stay protected. Your skin takes a real beating during the winter. The cold temperatures and harsh conditions can leave it feeling itchy and looking flaky, red, and rough. Severely dry skin- also known as xerosis- can show up on your arms, hands, lower legs, ankles and even your scalp. However, it’s not just the cold weather than can trigger dry skin. Excessive sun exposure, hot showers, or use of harsh soaps, detergents or chemicals can also cause dry, flaky skin. So, making a few simple changes to your daily skin care regimen and lifestyle can help you to reverse dry skin ready for spring. Limit yourself to a single 5-10 minute shower or bath each day. Plus, keep the temperature to warm rather than searing hot, as long hot showers strip the natural oils from your skin, drying it out. Offects Exfoliating Polish is ideal for removing dead skin cells and helping to promote cell turnover. This gentle scrub can be used for your arms, legs, chest, neck and face. Apply a hydrator right after your shower when your skin is still damp. Dr. Zen Obagi recommends Ommerse Overnight Recovery Crème. It works overnight to repair, regenerate and reverse dry skin. For optimal results, apply 1 or 2 pumps on the face and neck 30 minutes before you go to bed. As with most things, your diet has a big impact on your skin. Drink plenty of water and include green tea in your diet. Plus, foods that are rich in omega-3 are great for the skin as they help fortify the skin’s natural oil-retaining barriers. This essential fatty acid can be found in salmon and halibut, as well as in flax, walnuts, and safflower oil. Free radicals cause chronic damage to your skin cells, and antioxidants can neutralise these dangerous molecules. Free radicals in layman’s terms are unstable molecules which lack an electron. So, they essentially ‘steal’ electrons from nearby healthy cells, as a result, turning the healthy cells into free radicals as well. This consequently, setting off a chain reaction of free radical creation, damaging more and more healthy cells. Free radicals can cause a number of skin conditions including pigmentation, inflammation, and the breakdown of collagen and elastin; which all are related to ageing skin. An excellent example of an antioxidant is Vitamin C. It is great for your health if you ingest it, but it also works wonders on your skin when applied topically. Increasing your intake of antioxidants topically can help protect and prevent your skin from free radical damage and help other elements of your skin renew itself. Topical Vitamin C is an essential antioxidant to brighten skin and ensure it stays looking youthful. It helps with the production of collagen, ensuring the connective tissue stays strong and tight to keep wrinkles at bay. It can help reduce pigmentation and generally brighten dull and lacklustre skin. Plus, it can help your skin protect itself from harmful UV rays and environmental damage. The Ossential® C-Bright Serum 10% Vitamin C is a potent, pure dose of stabilised vitamin C that brightens and retexturizes skin. It helps remove surface discoloration, prevents new pigment from forming, and helps defend against environmental triggers that cause pigmentation. What’s more, it helps minimise the appearance of fine lines and wrinkles. Ascorbic acid (10%): Exfoliates the skin’s surface pigmentation for an even skin tone and a brighter complexion. Tetrahexyldecyl ascorbate: Is proven to prevent new pigment formation by up to 80% by inhibiting new melanin formation. It also helps to stimulate healthy collagen production and reduce wrinkles. Tocopheryl acetate & coenzyme-Q10: Provides multiple antioxidant protection. Squalane: Mimics our body’s own natural moisturiser factor for additional hydration. Apply 2-3 pumps of Ossential® C-Bright Serum 10% Vitamin C to clean, dry skin morning and night or as directed by your physician. The C-Bright serum should always be the first product applied after cleansing and should be worn under other prescribed ZO® treatment products. Begin using it gradually and increase frequency as tolerated. 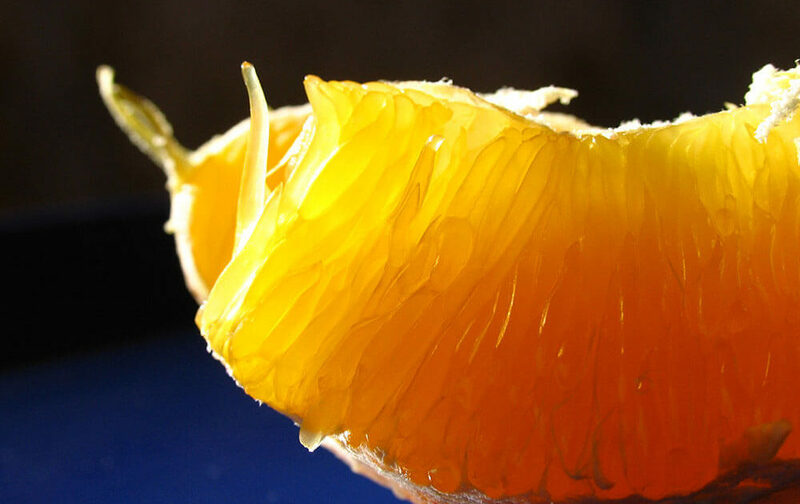 A slight redness and stinging or tingling is a normal reaction from vitamin C use and will subside.